Wild hogs are found in 39 states, as of 2011, according to the U.S. Department of Agriculture, and these populations are considered invasive species, providing numerous hunting opportunities. The hogs can reach 400 lbs., resulting in a significant amount of meat for the freezer. One of the best cuts from a hog is the backstrap, or tenderloin. Wild hogs have less fat than domestic pork with dark meat and a tight grain. As a result, you must cook the backstrap properly to ensure a delicious result. Cut off any fat on the outside of the backstrap. The soft fat on hog meat doesn't add flavor like the hard fat on domestic pork. Mix 1/2 cup vinegar with four cups ice water in a large bowl. Submerge the backstrap in the water solution and place it in the refrigerator for two to three days. During this time, the meat will turn white as the blood is bleached out. Remove the backstrap from the water solution and pat dry with paper towels. Place the backstrap in a baking dish and put it in the oven. Cook the meat for 45 to 60 minutes. 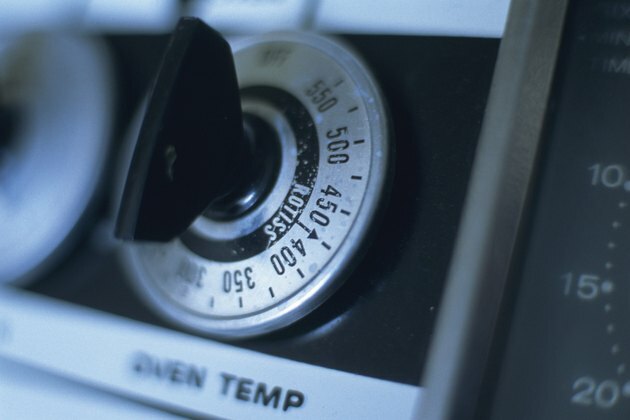 Remove the backstrap from the oven when the internal temperature reaches 160 degrees Fahrenheit. You can also grill the hog backstrap for 12 to 15 minutes per side. Actual cooking times may vary according to your oven and the thickness of the backstrap. Hogs may carry various swine diseases such as swine brucellosis or pseudorabies. Always cook thoroughly to destroy any bacteria.